Whenever a product design flaw or defect is discovered, it is the responsibility of the manufacturer to recall the affect products if they pose a health or safety risk to users. Sometimes, the recall comes too late and those who have been injured prior to the recall have the right to receive compensation to cover the cost of their medical bills and out of pocket expenses. 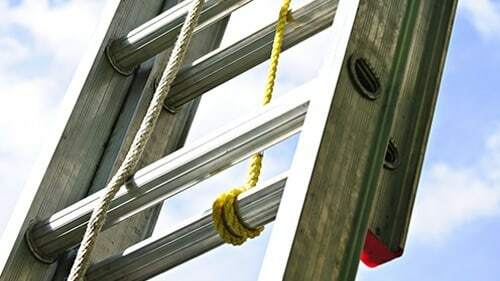 The Chicago ladder defect lawyers of Rosenfeld Injury Lawyers LLC have helped hundreds of clients recover compensation following accidents involving defective ladders which were unsafe to use due to poor product design or the use of subpar materials. Following are some examples of ladder recalls that have occurred over the course of the last ten years. Past recalls provide a lot of insight on what types of issues are common to ladder defects in order to identify potential hazards in the future. While products with the potential to cause serious harm should always be recalled, many of them are not for a variety of reasons which can include the willful refusal to recall a product when a manufacturer determines it would be less expensive to face legal action than it would to initiate the recall. Two different ladders that were sold exclusively at Home Depot were recalled in the same year. The first product was the Easy Reach by Gorilla Ladders. Users were subject to the risk of injury when standing on the top step, which was found to be unable to support the weight of the user despite the advertised rating of 225 pounds. The second recall was of the Switch-it Type 1A Stepladder/Stepstool, which is a product intended to turn from a stepstool into a ladder in a variety of configurations. When fully extended, the product was found to present a fall risk to the user due to defective inner side rails, which could separate from the outer rails and cause the entire ladder to tumble. The Frontgate Closet Ladder was intended for use in walk-in closets and was sold in two and three step configurations. Made of mahogany wood, it was discovered that the ladders could break without warning and pose a fall risk to the user. The recall was issued after numerous reports surfaced of users falling and sustaining injuries to the knees, shins, ankles and feet in the form of bruises and deep cuts. Fiberglass extension ladders made by Louisville Ladder were recalled because the fly section of the ladders was shown to slip or fail to lock. Users could be thrown from the ladders from significant heights, posing the risk of serious injury resulting from falls. The brands affected in the recall were Louisville/Davidson and Michigan Brand Fiberglass Extension Ladders. A product line of ladder stands was recalled by Gorilla Inc. when reports surfaced that users sustained injuries to the back and knee following falls caused by unstable ladder stands. It was determined that the defect caused the platform to move away from the bracing, resulting in an unstable base that could send the user to the ground. Whenever a defective product is the cause of bodily harm, victims who have been harmed while using the product receive the right to pursue a lawsuit for product liability. If you have been injured in a ladder accident, it is possible that your injuries were the result of poor product design or construction. You may be entitled to compensation for the reimbursement of your medical bills, recovery of lost wages, out of pocket expenses and pain and suffering. The Chicago ladder defect lawyers of Rosenfeld Injury Lawyers LLC have represented hundreds of clients across Illinois in similar product liability cases. Contact us to arrange a free consultation with an attorney to learn more about your rights and legal options and we will review the details of your case to determine what the best course of action may be going forward. Because our attorneys work solely on a contingency basis, you are assured that you will not be required to provide payment upfront and will not be billed for our services until we have recovered compensation on your behalf. If we are unable to win your case or negotiate a settlement, our services will cost you nothing.